​Manchester City and ​Tottenham Hotspur are set to go head-to-head in the race to sign £50m-rated Crystal Palace winger Wilfried Zaha this summer, according to the Sun. Ivory Coast international Zaha has impressed since returning from injury, taking relegation-bound Palace to six points above the drop zone. Zaha’s recent performances have not only caught the attention of ​City and Spurs, it is understood that Premier League rivals Arsenal and Chelsea are also monitoring the forward’s situation. ​Manchester City boss Pep Guardiola has set his sights on an attacker who can be deployed either as a winger or in a central role, where Zaha’s versatility certainly suits the criteria of Guardiola’s desired acquisition, thanks to a string of impressive performances down the middle in recent weeks. Wilfried Zaha has scored two goals in a Premier League game for the first time in his career. Despite two disappointing seasons at ​Manchester United - where he was loaned out to ​Cardiff and eventually sold back to Palace - it is believed that Zaha has no concerns regarding a move back to Manchester. 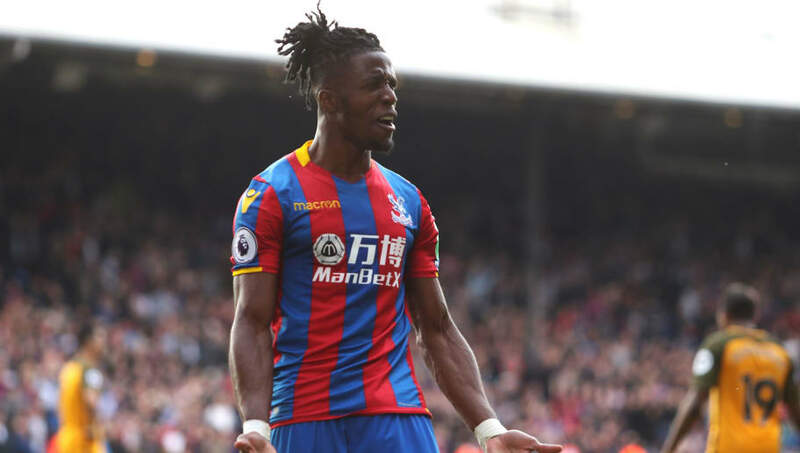 Since his horror spell at Old Trafford, the 25-year old has responded well over the past few years, emerging as the Eagles’ star player, where now it would seem that the top clubs are confident that Zaha can perform at an elite level, after scoring seven goals in 23 ​Premier League appearances this season. City missed out on the signing of ​Leicester City’s Riyad Mahrez in the summer and have now seemed to have set their sights firmly on Zaha. Not only will the 25-year old bring versatility to their ranks, but he will also qualify as a home-grown player, after coming through the ranks at ​Crystal Palace’s academy. Spurs are also heavily interested in Zaha, though the price tag may be too much for them to compete with, especially when paired against the financial powerhouse that is Manchester City.